Lock in a great price for Majestic Beach Comfort – rated 8.9 by recent guests! 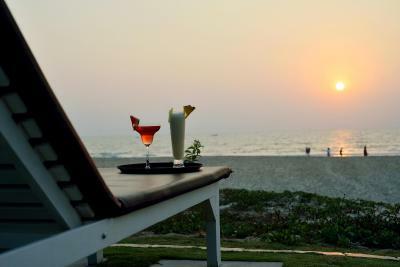 This resort has private beach area which is very well accessible from early morning to late night. Overall food quality is very good with excellent service. So damn beautiful, I had such a lovely time with my family, I highly recommend this resort for a weekend getaway!! 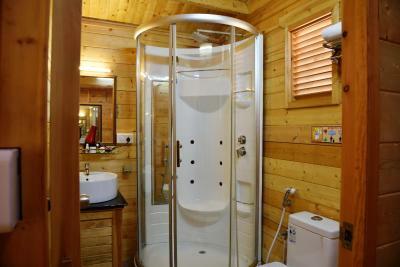 Clean and comfortable cabin. The restaurant served the most delicious food. The pool area was adequate and the beach area was excellent. Both areas were very clean and tidy. What really stood out to us was the staff. All were excellent and a credit to the establishment. 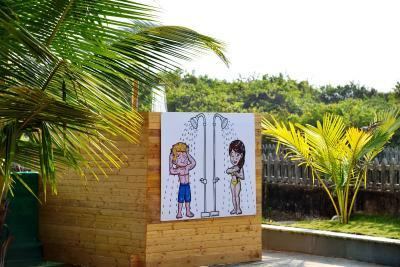 It was clean, the staff was attentive, secluded , safe and clean beach. Good resort with private beach. Calm location and good greenery. Perfect place for leisure. It is located on the beach. This really makes it awesome. Very prompt and accommodating team. They also take up special requests to keep us happy. 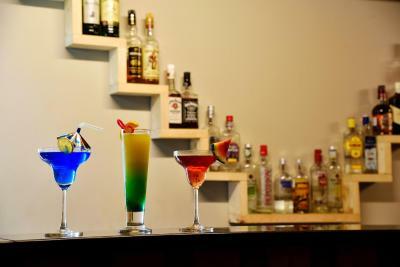 Good food and ideal for spending leisure time with loved ones. Perfect location should you wish to stay near Varca beach. Only a 2 minute walk from our room to the beach. Great place!! 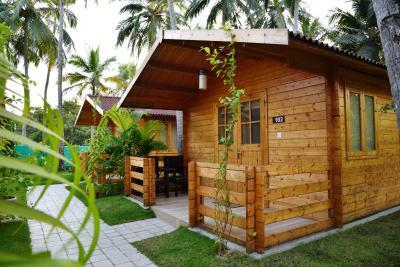 The place is very organised, well kept and clean The beach nearby is endless, with fine sand and very clean The cottages were new and the staff very polite. Wifi was strong, but the internet quality was bad (a lot of freezing) Breakfast was OK (too much fried food) and every two days the same. Nearby restaurants (beach huts) with nice food. 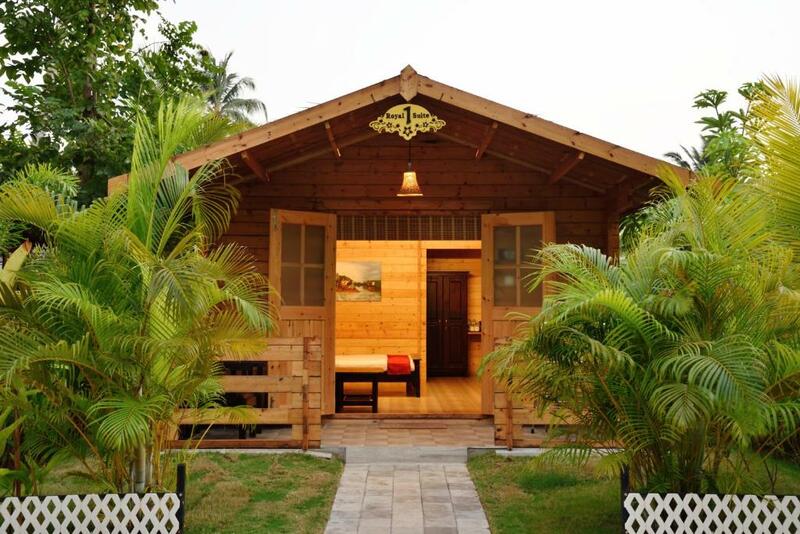 Located on the beachfront in Varca and featuring a garden, Majestic Beach Comfort has free WiFi. All rooms feature a flat-screen TV with satellite channels and a private bathroom. The resort features an outdoor swimming pool and karaoke. 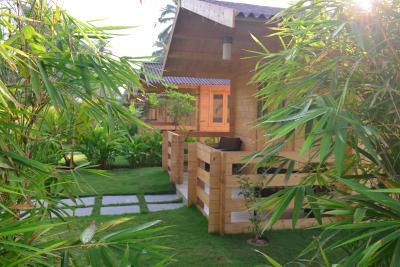 At the resort, all rooms come with a balcony with a garden view. All guest rooms will provide guests with a fridge. 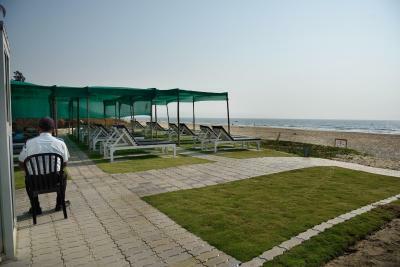 Majestic Beach Comfort offers a continental or buffet breakfast. 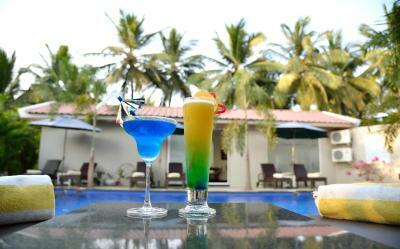 Panaji is 25 miles from Majestic Beach Comfort, while Candolim is 31 miles away. 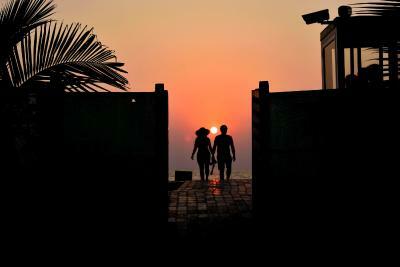 The nearest airport is Dabolim Airport, 24 miles from the resort. This property also has one of the top-rated locations in Varca! Guests are happier about it compared to other properties in the area. When would you like to stay at Majestic Beach Comfort? House Rules Majestic Beach Comfort takes special requests – add in the next step! Majestic Beach Comfort accepts these cards and reserves the right to temporarily hold an amount prior to arrival. Too many rules everywhere. I have never been asked to sign at check in a whole list of rules, including that in case I break a glass (! ), I would need to pay for it. OF COURSE I WOULD! The mattress was a piece of FOAM, no real mattress; bad sleep for 7 days we stayed. The same with the pillows. There is no wifi coverage on the beach loungers; pity the cost is EUR 50! There are not enough loungers, thus everybody was going from 07:00am (!!) to leave a towel to the reserve one. The bathroom fan didn't work for the 3 first days, and when fixed it was SUPER noisy. The sink was clogged, too narrow to wash and the faucet very close to the sink bottom, making it impossible to rinse without touching the sink. Nice property inVarca beach. It is a beachfront property. Staffs are very good, food is tasty and reasonable rate. Bar ir is also quiet good. Not much privacy as always guests/staff passing by, breakfast room small and dark, poor breakfast selection and toaster didn't work, the complex has a hut-camp feel about it and too many do's/don'ts, rules/regulations and even warnings posted about. The complex is a bit cut off and out of the way. Live music nights are very loud ! The gardens, polite staff (mostly), in-room facilities. The location is close to other residences but it’s a little isolated in case you want to look for a different restaurant/markets. Little advise: they should add more international food! Very nice private cottage with bedroom and a little living area. Beddings, bathroom and the whole cottage was very clean and the staff takes care of the cleaning everyday so you really don’t have to worry about bringing some sand inside because the day after they’ll make it disappear. The facility is on the beach! 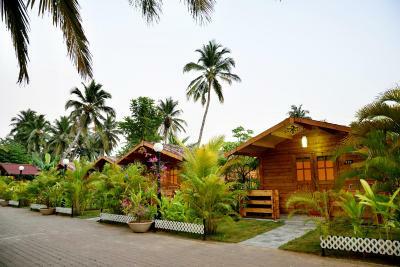 Very nice cottages with all facilities. Connected internally to beach, very good relaxing area. Food and staff also very good. Overall a great stay. Excellent property!!!. gr8 staff!! good management!! gr8 food!!!... awsm beach!!! !....must visit place for a quite and peaceful getaway!!! Admin staff communications we're more than useless..I had to call them several times to enquire if little early check-in was possible. Finally, one day before they confirmed me over phone that early check-in is possible for the day I was going to reach there..Also they confirmed me that no extra charge for early check-in.. But upon arrival they didn't provide the room though rooms were available and they asked me any proof that they confirmed me (wish I could've recorded that phone conversation). After waiting for 2 hours they asked me to pay 1000 rupees more if I need room..Which I did not pay and waited there for around 3 plus hours with a small kid..If they wouldn't have confirmed I wouldn't reach early. Which I told them over phone. Bed in the room was in a horrible state.God knows how we spent 4 nights there.Even after several requests, there was no action from there side.Toilet lock was not working and there were some noise from the toilet tiles as well. Not sure about other rooms but this was my experience of staying 4 nights in 210. Breakfast quality was average. Restaurant location was okay type, but full of cats and sometimes they sit on the dining table. Other staffs were friendly and co-operative..Location is good. 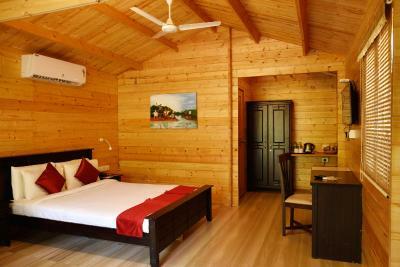 Small room area for few of the rooms but fine if you are planning to spend your day for outdoor activities. Otherwise, rest all is good.